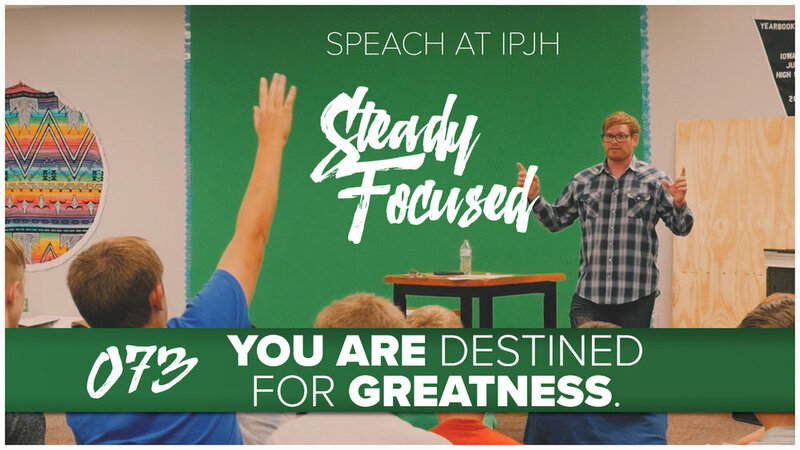 Simeon Hendrix of Steady Focused speaks to the multimedia classes at Iowa Park Junior High. I had the privilege of being asked to speak to the multimedia classes at Iowa Park Junior High. It took me into a very reflective state, thinking back to my personal Jr. High days where were very difficult times. I’m thankful I was able to shine a bit of light into their lives.